Soap and Glory have done it again and released a new product. 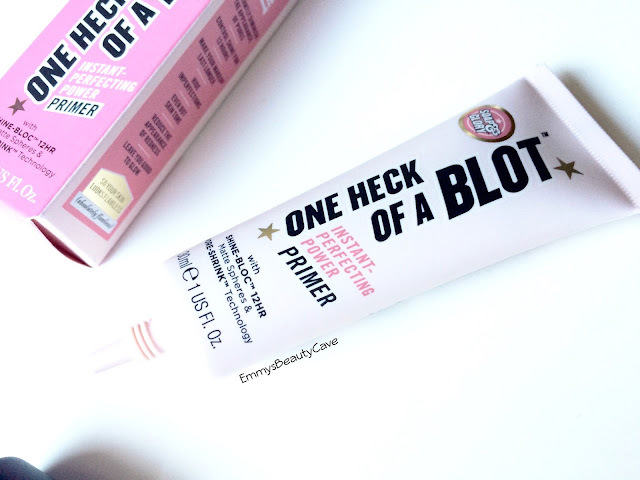 If you are a reader of my blog you will know one of my holy grail products is the Soap & Glory One Heck of a Blot Powder so i was so excited when i saw they have now released the Soap & Glory One Heck of a Blot Instant Perfecting Power Primer. I bought this as soon as it was released and had high hopes. Boy did Soap & Glory deliver! As always the packaging is gorgeous! It comes in a pale pink tube with the black and pink writing which really stands out. I love how girly Soap & Glorys products are. The squeezy tube makes it really easy to determine how much product you use. The primer itself has a light pink colour. You only need a small amount to cover your whole face which is amazing! As it is pink in colour it definitely reduced some of my redness which is perfect before i apply my foundation. I rubbed it in with my fingers then left it a few minutes to sink in. It didn't leave any stickiness to my skin but my skin didn't feel too matte either. I carried on with my makeup, applying foundation and then my One Heck Of A Blot Powder. 10 Hours later my makeup looked incredible! No shine or anything which is really impressive as my skin is oily as can be! 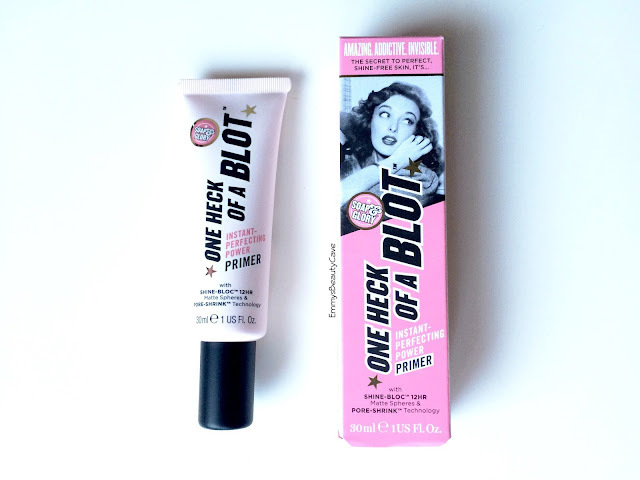 Soap and Glory have definitely made a new holy grail product for me! This retails for £10 which is a great bargain for the amazing job it does. I love soap and glory products so definitely want to try this! I agree that their packaging is always amazing too! Ooo I've not seen this in my local boots! 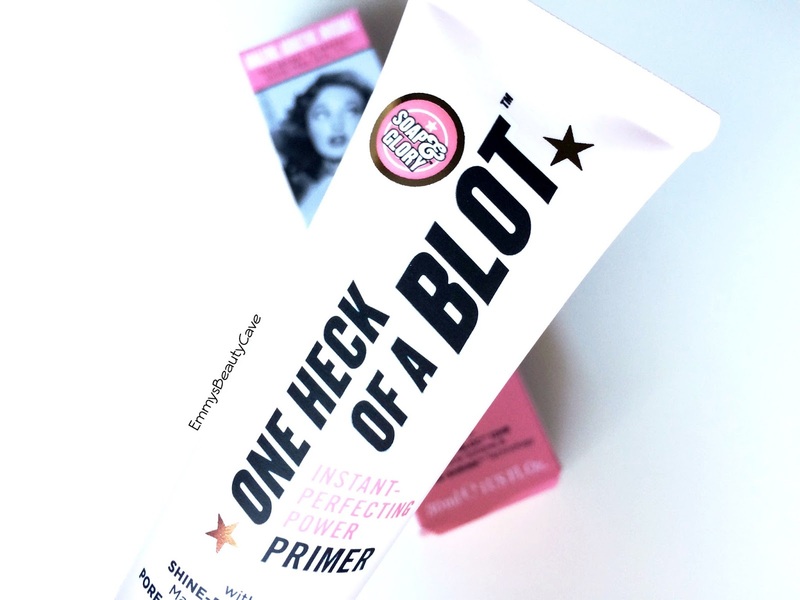 I love a good primer though & love soap & glory even more! I'm gonna have to check this out by the sounds of things. I'm still on a hunt for a prImer that works with my skin. I had no idea Soap and Glory were bringing out a primer version. It sounds incredible! Is it a silicone based primer? I love the powder so I presume I'd love this too! One heck of a blot is one of my favourite powder! I need to check this one too! I've been on the hunt for a new primer! This sounds great, and a good price too....I'll keep my eyes peeled for it! Yeah I def need to try this! I wish it was a little more mattifying but never mind, as long as it works as a good primer that's all I need! I need to get this! My face has been SO oily since I moved to California. PS, love your layout!